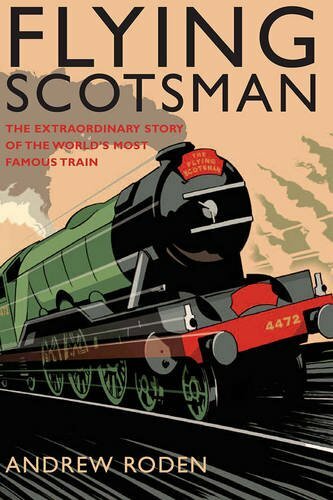 Think of the Golden Age of Steam and one train leaps to mind above all others: the Flying Scotsman, Nigel Gresleys elegant masterpiece of a locomotive. She broke the world speed record in 1934 and has enthralled millions with her beauty and power. Uniquely, her post-war career has been even more varied and exciting than her early triumphs.Now Andrew Roden tells the Scotsmans remarkable story, from her construction and the glory days between the wars through the decline of steam and her rollercoaster fortunes in the subsequent years: nearly abandoned on a tour of the United States after the money ran out, crossing the Australian interior, then put up for sale yet again when the company that owned her went bankrupt in 2003. A massive public campaign saved her for the nation and the Flying Scotsmans restoration began in 2005 at the National Railway Museum.